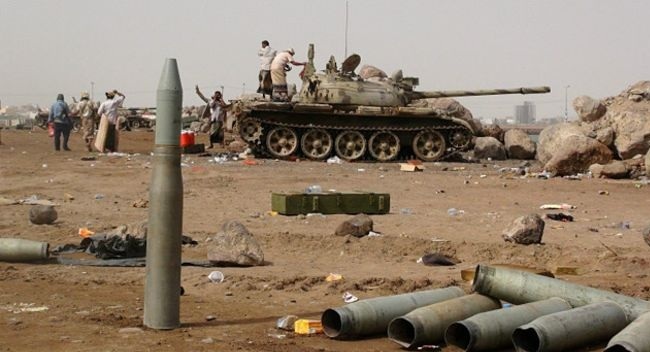 JNN 18 June 2015 Sanaa : The Yemeni army and the Popular Volunteer Forces seized on Wednesday the capital of a large desert province on the border with Saudi Arabia on Sunday, news websites reported. The national and resistance took control of al-Hazm, capital of the province of al-Jawf, amid Saudi-US persistent aggression on Yemeni infrastructure and heavy fighting with terrorists takfiri groups. The city lies some 150 kilometers south of the border with Saudi Arabia, which has been leading a campaign of air strikes against the Yemeni civilians. The army and the Popular forces spread out in the city and around government buildings, Reuters said citing a tribal source in al-Hazm. A Saudi-led military alliance has been carrying out air raids in Yemen for almost three months to try to restore exiled and fugitive President Abd-Rabbu Mansour Hadi and repel the Ansarullah movement which rejects the foreign intervention in domestic affairs of Yemen. United Nations-backed talks in Geneva this week will be attended by delegations representing Hadi, while representatives of the Huthis and Saleh’s General People’s Congress refused to board a UN plane from Sanaa to Geneva on Saturday because it was scheduled to stop in Jizan in Saudi Arabia. A UN spokesman said Sunday the talks were expected to begin on Monday. This entry was posted in Jafria and tagged Saudi Arabia, Yemen. Bookmark the permalink. God Curse The saudi war criminals army, bunch of Cowards,civilians and Childs murderer!